Today a proposal appeared over at TR about possible changes to their mountain passes between Morrowind and Cyrodiil (and Skyrim as well, but those proposals are purely aesthetic changes). Obviously this impacts us if they remove the pass between Mir Corrup and Narsis because iirc our vision for Mir Corrup includes trade with Narsis and possible trade wars with Cheydinhal. I've flagged the Mir Corrup issue at TR but it would be good if some people who are a bit more clued-in with our latest plans could monitor the thread to make sure both projects are working together towards the same purpose. I don't think we'll run into very big problems here. I added the presumed locations of Septim's Gate and Shadowgate Pass on the latest map (which I haven't uploaded yet), based on this map. As you can see, both lie pretty close to Cheydinhal (one of them is arguably redundant). 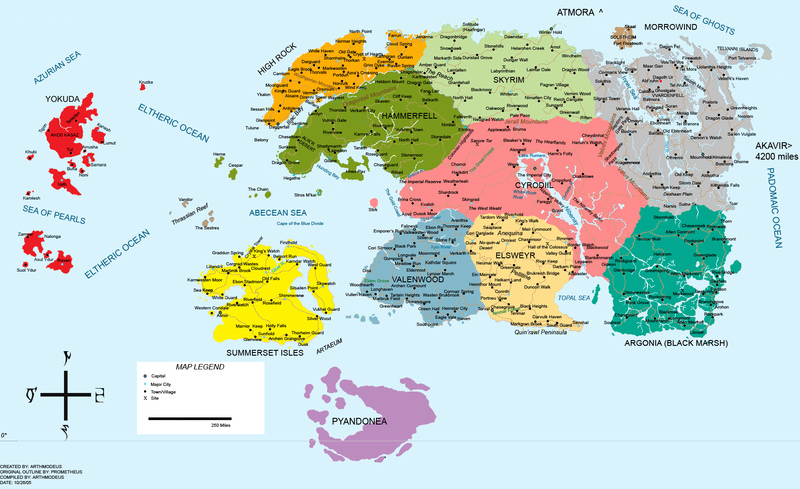 Mir Corrup is placed much lower south (see Cartography), almost at the border of Morrowind and Argonia: it corresponds to the Narsis Pass, which TR intends to keep. Yeah, I got a bit confused thinking that the Narsis pass was Septim's Gate and they were going to get rid of it.